As Summer is coming to an end and the colder months approach (sadly), I am taking every opportunity to wear my Summer outfits one last time before they are banished to storage. I want to be sure that my skin looks fresh and feels super soft. In come my team of products to give me skin as smooth as a baby’s bottom! Using this little combo of products, actually leaves me with skin smooth enough to make people touch it to see how soft it is. 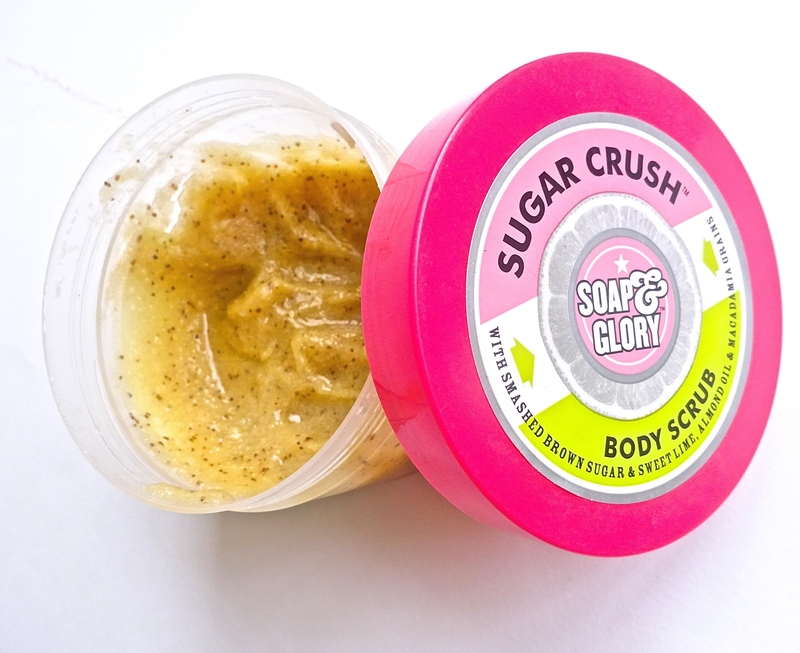 Even against their own will… First up is this Soap and Glory Sugar Crush Body Scrub which is not only heaven on your skin, but literally smells good enough to eat. Although I wouldn’t advise it, however tempted you may be… I apply this to damp skin and massage it in. It gently exfoliates your skin and leaves a moisturising residue. I love this stuff so much that I featured it in my May Favourites. 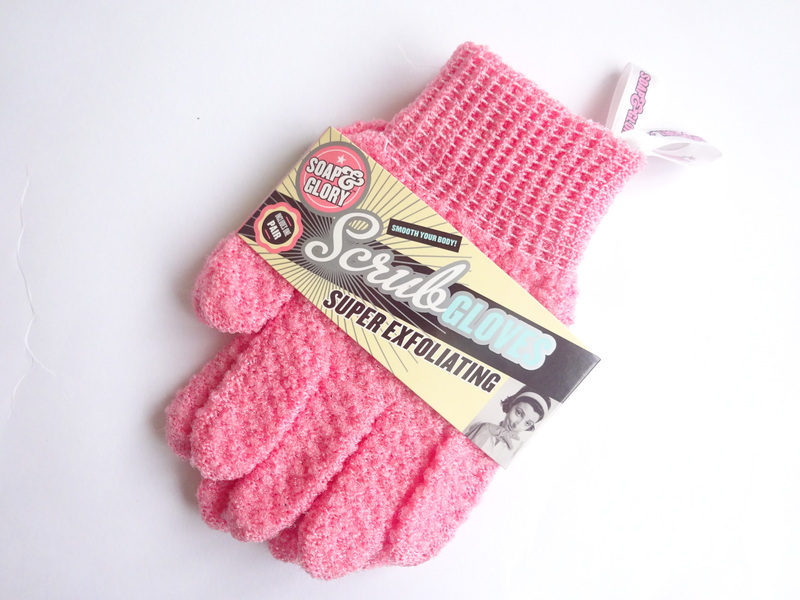 Next are these super exfoliating scrub gloves. Instead of simply rinsing off the lovely body scrub, I like to work in into my skin a little more using these gloves. Essentially it’s like giving yourself a double exfoliation session. Something I like to do every week (or two if I’m being lazy). I also use these without applying the body scrub on a more regular basis, just to keep my skin nice and smooth. After having spent all that time exfoliating, I want to make sure that I treat my skin to lots and lots of moisturiser. 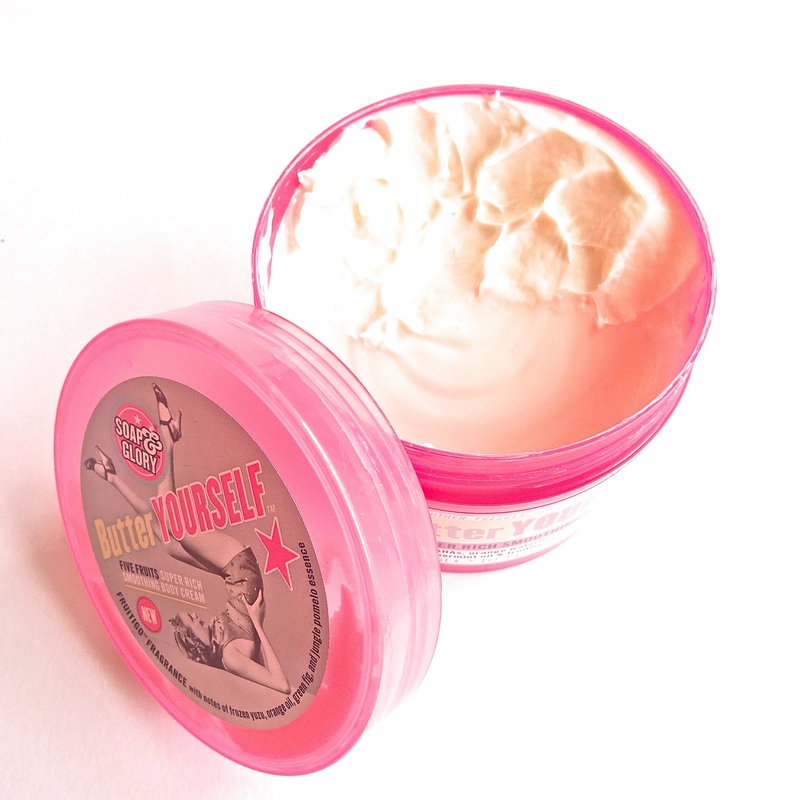 I love the Soap and Glory Butter Yourself body cream. Not only is it rich enough to quench my thirsty skin, like all Soap and Glory products it smells gorgeous and I’m a sucker for their cute packaging. So there you have it, my secret weapons for silky smooth skin. 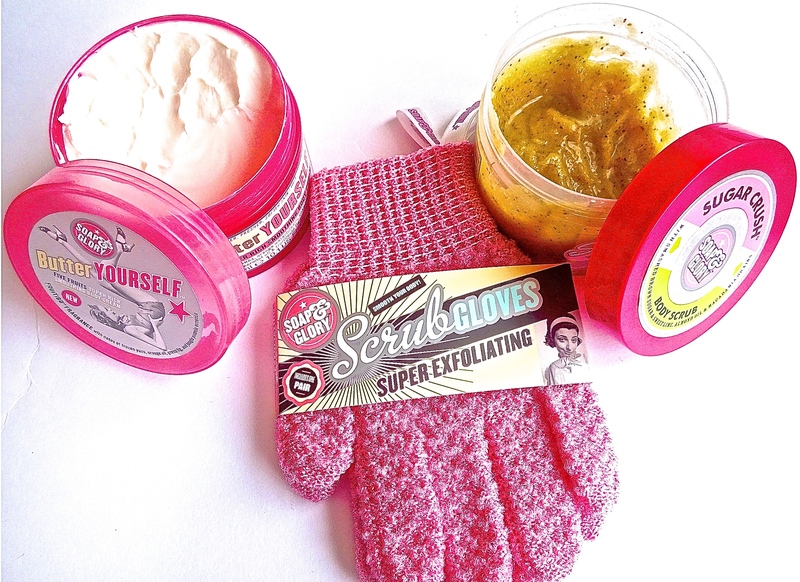 Although this post was very Soap and Glory heavy (who can resist a Boots 3 for 2 offer? ), I have done this routine using other products. The Body Shop do some lovely body scrubs and I pretty much swear by their body butters as you can see from my June Favourites. What tricks do you use to get your skin Summer ready?